We are a “JUST IN TIME” (JIT) wholesale food manufacturer of proprietary products for restaurant chains, foodservice operators, other food manufacturers, and grocery store service delis. We’re here to make your food, your way. We are The Outsource for your proprietary products. If you want consistency in food quality and food cost, Village Green Foods is your solution. 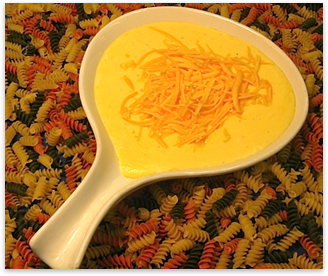 Real Cheddar Cheese Sauce- there's no faking it, it's delish!